The best time to start meditating is now. Meditation can help quiet the mind, focus your thoughts, and promote general well-being. Best of all, anyone with a few free minutes can start meditating today. Even if you have never meditated before, don’t be intimidated. Follow the 10 easy steps below, and you will become a meditation expert in no time! Find your motivation to start. Pick a peaceful, quiet place. Choose relaxing clothes and a comfortable pose. To start, set a timer for two minutes. If your concentration is interrupted, refocus on your breathing. Do a body scan by focusing on different areas of your body. End your meditation with a positive ritual. Remember not to overthink it. Just enjoy the journey. While there are countless meditation techniques and practices, the steps below offer a simple way to begin. Remember, while meditating, there is always room for improvement and a chance to learn something new. Try to enjoy the journey as you hone your meditation skills. Meditation starts with you. No matter your age or physical condition, meditation is always within reach. What is required on your part is the decision to begin. If you need some motivation, then try thinking about the reasons why you want to try it in the first place. Meditation can relieve stress and anxiety, promote physical and mental well being, and even be a spiritual experience. Find a quiet moment to write down what you are hoping to get out of it and go back and read it anytime you need some motivation to meditate. Your environment is critical to cultivating the right experience. Try to find a peaceful, quiet space that helps you feel relaxed. While a calm bedroom, tranquil garden, or dedicated meditation space is ideal, it’s not always possible. When the optimal location is not available, remember, your car or even work desk can serve as your very own meditation retreat. 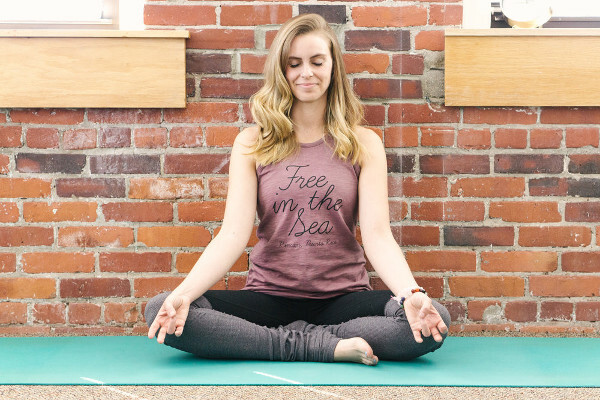 The most important thing, especially when first starting out, is finding a location where you have the freedom to meditate for at least two minutes without interruption. Before you can completely clear your mind, you will need to limit as many distractions as possible. Even small irritations will become distracting once you begin to meditate. Scan the area before you start and consider the type of pose you will be in, the clothes you are wearing, and your surroundings in general. Turn off your cell phone and anything else that might be disruptive. Meditation works in nearly any position. Sitting, standing, and laying down are three basic poses that are great for first-time meditators. Select your starting posture based on comfort and whether or not you can hold it for a few minutes at a time. For most people, a good starting position is sitting cross-legged, hands resting on the legs, and eyes closed. Any clothing can work for meditation, but again, comfort is key. Many people enjoy light, loose-fitting clothes when they meditate, but you can wear anything you find relaxing. If you can’t decide what to wear, throw on your favorite pair of pajamas or comfortable workout clothes. Meditation can involve long periods of sitting, especially as you progress. Seasoned meditators will typically have a dedicated cushion or mat in their home, but these are not necessary when you’re first starting out. Choose a comfy blanket or pillow or a sturdy, well cushioned chair to maximize comfort for extended meditation sessions. Many other factors such as sounds and smells can help set the stage for a positive meditation session. Some prefer adding aromas in the forms of incense, essential oils, or scented candles, while others like to avoid sensory distractions altogether. Whatever you choose, just make sure the air you are breathing is fresh and clear of any toxins or pollutants. Natural sounds like wild animals or a babbling brook can also enhance or distract depending on the individual. Try a variety of settings to find out which works best for you. Meditation does not need to be a long process unless you want it to be. If you are just starting out, then begin with small increments of time. Setting a timer is very helpful for beginners because it can help keep your focus on breathing and not on the clock. To start, set the timer for two minutes, and do your best to stay focused and in the moment. As your confidence builds, try extending the timer by 30 seconds every session until you are meditating for five minutes or longer. One of the best ways to begin the practice of meditation is to focus on your breathing. Choose your pose and follow your breath as it flows from your nose into your lungs and out again as you exhale. Some find it helpful to count breaths, but it isn’t necessary. Concentrating on your breathing will help your mind focus as it adjusts to the silence. Even seasoned meditators pay close attention to their breathing as a way to be more mindful. Most meditation practices aim to clear the brain of all thoughts and be more mindful. However, it is natural and even inevitable that your mind will wander or fixate on rotating feelings and physical sensations. Getting lost in these distractions is entirely normal, but not the goal of meditation. When this happens to you, recognize that your mind has wandered and try to refocus on your breathing. Towards the end of each meditation session, take the time to do a body scan. During this scan, focus on different areas of your body. Ask yourself how you feel, and pay close attention to any part that may need healing. Shift your focus from your breathing and gradually move your attention from your toes up through your feet and legs. Eventually, you will reach every area of your body. Similar to your breathing, return focus when your mind wanders. Carry your mindfulness through to the end of your session. Slowly get up and take note of how you feel. Breathe in deeply and gently adjust your body and mind. Creating a personal ritual to end each session may be helpful. Ending rituals could include reciting a personal mantra or finishing with a light exercise or walk. Don’t spend your meditation time worrying whether or not you are doing it right. It may take a while for you to become proficient, and that is ok. Just keep at it, have fun, and enjoy the journey. Meditation can help support a healthy body and mind. It promotes healthy blood pressure, a happy mood, and strengthens coping skills. [1, 2, 3] However, to start seeing the benefits you will need to meditate regularly and make it a habit. Try picking a time and place every day where you can dedicate two to five minutes to meditate. As you continue with your meditation journey, you may benefit from additional help and advice along the way. As meditation has gone mainstream, meditation aids of all kinds are more available. Guided meditation is an excellent option for many beginners. Many audio and video guides are inexpensive or even free online. Depending on where you live, local guided meditation classes may also be available. During these guided meditation classes, instructors will walk you through what to do and how to do it. In-person classes can also provide additional support from like-minded meditators. Thanks to modern technologies, there is a constant stream of new resources to help you meditate better. Many phone apps can help you start or perfect the practice of meditation. With new apps coming out daily, you will have many options to choose. Look for an app that’s in a comfortable price range and focuses on a technique you want to improve. Apps are especially beneficial for first-time meditators looking to track their progress. Have you tried meditation? Leave a comment below and let us know what helps you meditate and how it improves your physical and mental health. Shi L, et al. “Meditation and blood pressure: a meta-analysis of randomized clinical trials.” J Hypertens. 2016. Accessed 3 Jan 2018. Goyal M, et al. “Meditation programs for psychological stress and well-being systematic review and meta-analysis.” JAMA Intern Med. 2014;174(3), 357-368. Accessed 3 Jan. 2018. Nidich S, et al. “A randomized controlled trial on effects of the transcendental meditation program on blood pressure, psychological distress, and coping in young adults.” American Journal of Hypertension. 2009;22(12), 1326-1331. Accessed 3 Jan. 2018. Dr. Edward F. Group III (DC, ND, DACBN, DCBCN, DABFM) founded Global Healing Center in 1998 with the goal of providing the highest quality natural health information and products. He is world-renowned for his research on the root cause of disease. Under his leadership, Global Healing Center earned recognition as one of the largest natural and organic health resources in the world. Dr. Group is a veteran of the United States Army and has attended both Harvard and MIT business schools. He is a best-selling author and a frequent guest on radio and television programs, documentary films, and in major publications. For more, please visit Global Healing Center.